Lipikar is a simple but unique desktop authoring tool for Windows™ ANSI/ASCII fonts. 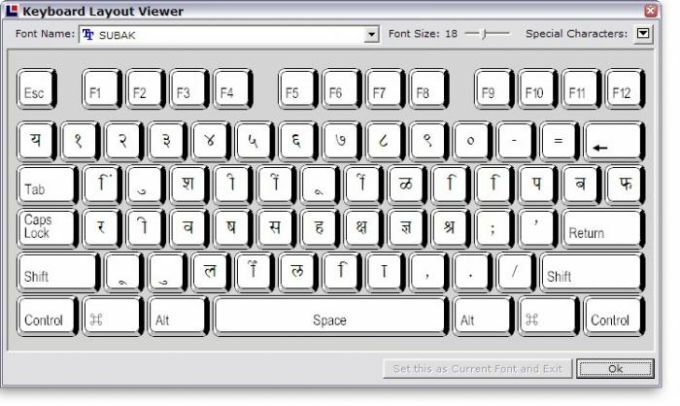 It is independent of languages or keyboards and can be used to create short passages of text quickly in any language without any keystroke. How does it work? 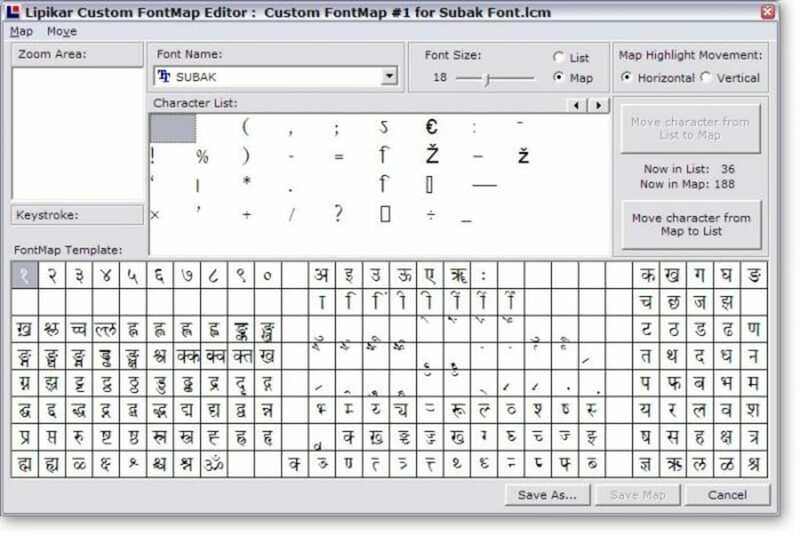 Simply start Lipikar and select any installed font. Lipikar will lay out a grid of all the 'typeable' characters, that is, ASC(32) through ASC(255), of that font. Click on any character on the grid and it gets copied to a composing area. Compose your passage by clicking one character after another. After you are done, you can transfer your entire composition to your favorite word processor at one shot and format it there at your will. Apart from the diverse languages and scripts of India such as Assamese, Bengali, Gujarati, Hindi, Kannada, Kashmiri, Kodagu, Lahnda, Malayalam, Marathi, Punjabi, Tamil, Telugu etc., Lipikar can also be used with any other non-English language such as Baluchi, Brahui, Dzongkha, Nepali, Sanskrit, Sinhala, Tibetan, Tulu, Urdu etc. or with any non-Roman script such as Cyrillic, Arabian, Georgian, Greek, Mongolian, Hebrew etc. In other words, if you have a font (non-Unicode) installed on Windows, you can use Lipikar to write text with it without the aid of your keyboard. What do you think about Lipikar? Do you recommend it? Why?